Home » Where is the Soul of the Church? Where is the Soul of the Church? Just before he was betrayed, captured, and crucified, Jesus warned his disciples that he would be leaving them. 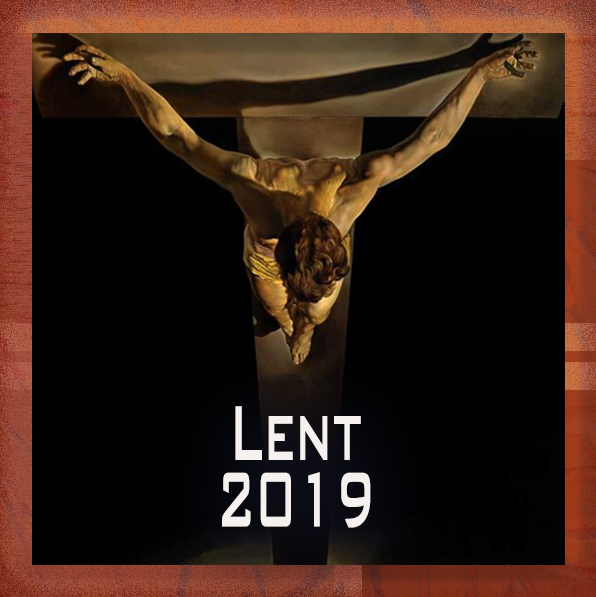 In his extended prayer (John 17) Jesus reveals a key concept: just as God was present in the world through Jesus, so also, Jesus will continue to be present in the world through his Church. In John 17:13-17, Jesus says that his Church will be in the world, but not of it. How do we understand Jesus? Simply, he was a man who was in the world, but not of it. He was fully human, but also fully divine. He was a citizen of heaven, yet also a resident of first century Palestine. Imagine three over lapping circles: The top circle represents Jesus’ divine nature (fully God). The bottom left, his life and physical presence among us (fully man). The third circle represents the world he came to save (John 3:16). Now that Jesus has gone back to heaven, his church takes over the bottom left circle — we are now the physical presence of Christ in our community. God is still on top, overlapping our circle. The world is still to our right, overlapping the church and, through the Holy Spirit, the divine circle. The soul of the church lies where the three circles over lap. Note that this Soul is not in the safe part of the circle with the majority of the church’s programs and concerns. It is out in the dangerous intersection of our holy God and the chaotic world. In Reality Check 101, I make a point of stating that churches have souls. By this I mean that each congregation has an intrinsic worth. There is a value to the local church that far exceeds its statistical strength or the value it may have for the denomination that holds the title to its building. Pastors come and go, but a church’s soul remains constant. Like the soul of a human being, the congregation’s soul represents more than the current state of the body. Where is this soul located? Philosophers speak about the human soul being located at the intersection of the will of the mind and the reality of the flesh. The Bible says that when God breathed the inspiring breath of life into Adam, he became a living soul (Genesis 2:7 KJV). This implies that the soul is a crossroad, where physical context (the mud of the ground) limited by time and mortality intersects spiritual vocation and God’s promise of a continuing existence. 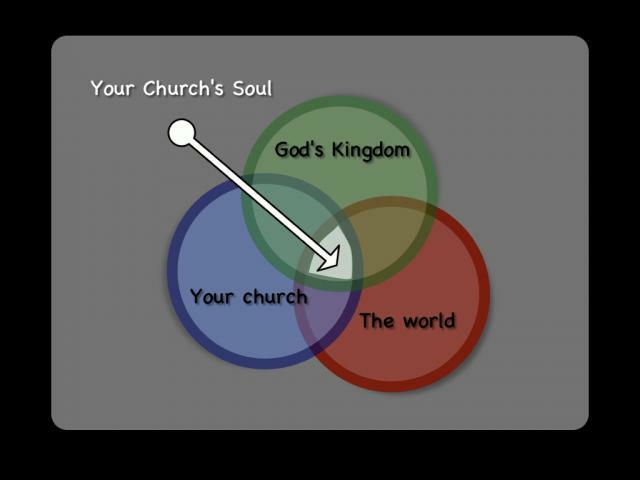 Your church’s soul is located at a similar intersection. It lies where the world of human affairs and aspirations (red circle) intersects with your congregation’s daily life (blue circle). These both intersect with the kingdom of God (green circle). A small triangle represents the common ground of God, Church, and Human Society. No congregation is entirely at one with God’s Kingdom -- I think we do well to overlap the will of God by 30%. The world is never so secular to be without an overlap with God and the church. Where we take the Kingdom of God into the world, there is our soul.